Los Angeles Lakers forward-center Pau Gasol is the recipient of the first-ever season-long Kia Community Assist Award in recognition of his outstanding efforts in the community and his ongoing philanthropic and charitable work, the NBA announced yesterday. Kia and the NBA are honoring Gasol in part for his ongoing support of Children's Hospital Los Angeles. The pre-medical-student-turned-NBA-star has been a hospital champion for the past several years. In addition to frequent visits with patients, Gasol facilitated a new partnership this year between the hospital and Grifols, a Barcelona-based global health care company. The company has since donated a Phocus RX machine to Children’s Hospital Los Angeles, which enhances safety and efficiency, and plans to donate an inventory management system to the hospital’s pharmacy. 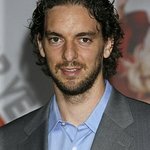 Gasol’s passion for supporting children’s health also compelled him to serve as a Hoops for St. Jude ambassador to benefit the kids of St. Jude Children's Research Hospital. In his third consecutive year as an ambassador, Gasol spent time with young patients battling cancer and other deadly diseases at St. Jude and filmed a public service announcement to help increase awareness and funding for the hospital. Understanding the importance of providing children access to education, Gasol has also served as a UNICEF Ambassador for the last nine years. His efforts include the launch of Pau’s Project in 2010, an initiative that supports UNICEF education and nutrition programs in Africa. This season, Gasol dedicated a significant amount of time to raising awareness and funds for UNICEF, including participating in UNICEF’s Beyond School Books podcast series to highlight the importance of early childhood care and education. He also narrated a storybook app titled “Give a Day” in three languages, with proceeds benefitting UNICEF through Pau’s Project, and conducted a “text to donate” campaign, which gave two lucky teenagers from Madrid an all-expense-paid trip to Los Angeles. As the 2011-12 Kia Community Assist Award recipient, Gasol will receive the David Robinson Plaque with the inscription, “Following the standard set by NBA Legend David Robinson who improved the community piece by piece.” In addition, Kia and the NBA will donate $25,000 on Gasol’s behalf to Children’s Hospital Los Angeles. Kia Motors has been an NBA Cares partner since 2010, highlighted by their participation in the NBA Cares All-Star Day of Service. This season, Kia has expanded its NBA Cares partnership by serving as title partner of the Community Assist Award. The league presents the Kia Community Assist Award monthly throughout the season as well as a final award at the end of the season to recognize players for their year-round charitable efforts. The award honors the NBA player who best reflects the passion that the league and its players have for giving back to their communities. To learn more, please log on to www.nba.com/kiacommunityassist.